Return to this page regularly to read the latest news and commentary about Sterling Edge, closer looks at our products, and advances in modern 3-D milling. 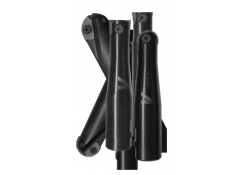 Sterling Edge's ball nose and bull nose carbide inserts accomplish different tasks, but they can be used on the same job. 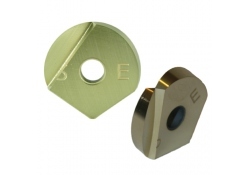 Both style of inserts provide extremely accurate effective cutting characteristics in a wide range of materials. The standard grind ball nose inserts and end mills remain the workhorse of cutting inserts for the tool and die industry. 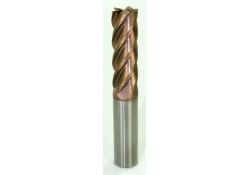 They are effective when used with heavier roughing cuts of profile milling. Yet they are just as dependable during the the finishing phase. Because of the grind's geometry, this ball nose can "cut to the center" to provide a smoother finish. At Sterling Edge, we know that mold and die makers face increasing challenges to mill pre-hardened dies and molds to ever tighter tolerances. Achieving those tolerances while still maintaining quality can take longer machining times, however, and manufacturers waiting for those molds are not always ready to accept delays in production. 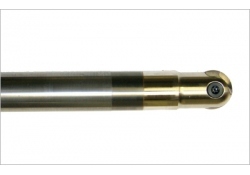 Thanks to the greater rigidity and higher spindle speeds of today's machine tools, there are many applications where 3-D profile milling tools are a perfect fit.